For the last seven years now, Ford has been insisting that there is no market for midsize trucks. Well, it appears that Ford has had a change of heart as it is set to introduce the brand new 2019 Ford Ranger to the market in late 2018, or early 2019. The new 2019 Ford Ranger was introduced a few weeks ago at the North American International Auto Show in Detroit. The first thing we need to note about the 2019 Ford Ranger is that this is far from being a simple carry-over from the Ranger currently found in Europe. Indeed, this is a brand new Ford Ranger, and it was designed specifically for the North American market. The 2019 Ford Ranger stands out by featuring a design that is reminiscent of the Ford F-150, but distinct enough to stand out on its own. On the other hand, buyers should appreciate how rugged and muscular the new Ranger appears. Inside, buyers get a spacious and high-end cabin that also stands out by providing both convenience and comfort. We don’t know all the specs about the 2019 Ford Ranger just yet, but we do know that it will feature a 2.3-liter EcoBoost four-cylinder turbocharged engine that delivers up to 350 horsepower in the new Ford Mustang. Although we don’t know how much power it will offer in the 2019 Ford Ranger, we do know that it will be paired with a 10-speed automatic gearbox for improved efficiency and better towing. A start-stop technology will also be included with the 2019 Ranger. Yes, Ford’s new mid-size truck will be quite refined and fuel-efficient, but it will also be able to venture off the beaten path with confidence thanks to its FX4 off-road package. The latter includes beefier shocks and tires, underbody protection, and a host of other advanced technologies such as a crawling automatic drive mode that is like an adaptive cruise control system, but for off-roading. A wide range of advanced safety and driver assistance technologies will also be offered. 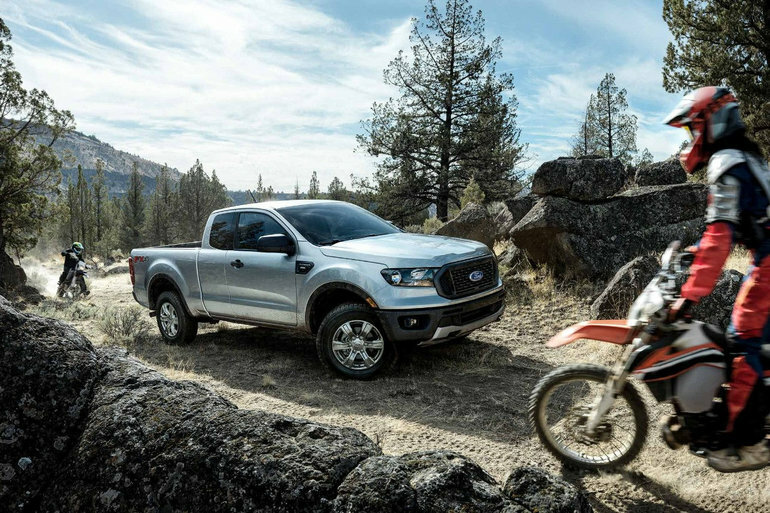 To learn more about the 2019 Ford Ranger, contact us today at Bruce Ford!